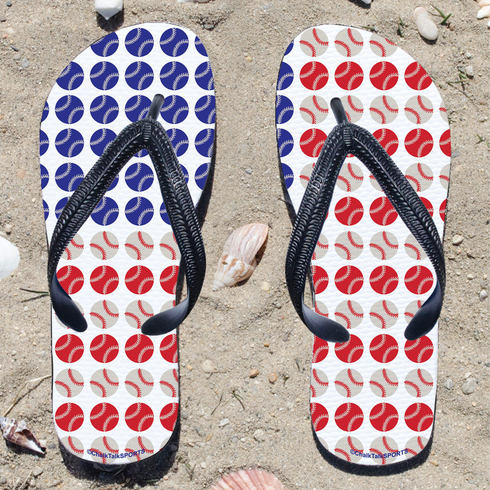 Kick back after a baseball game with these great USA Flag Baseball flip flops! Fun and functional flip flops for all baseball players and fans. These baseball sandals are waterproof and available in 5 sizes (please refer to the size chart to choose your correct size). Rubber flip flops with pvc straps. Limited quantities...we only have the sizes listed in the drop down menu.